Yes! 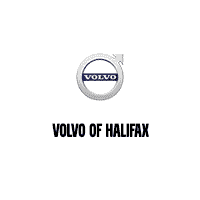 Please sign me up to receive e-mails and other communications from Volvo of Halifax. And please send me information on products, promotions and other related information. Manufacturer’s Suggested Retail Price. Excludes options; taxes; title; registration; delivery, processing and handling fee; dealer charges. Dealer sets actual selling price. While great effort is made to ensure the accuracy of the information on this site, errors do occur so please verify information with a customer service rep. This is easily done by calling us at (902) 453-2110 or by visiting us at the dealership.